Terry Larkin is a writer, motivational speaker and workshop leader in the area of spirituality and health. She is author of the book, The Light GAP: God’s Amazing Presence ~ Our Journey to Understand LIFE Through LIGHT and Near-Death,co-authored with her sister, Marjorie Ashby Steiner. 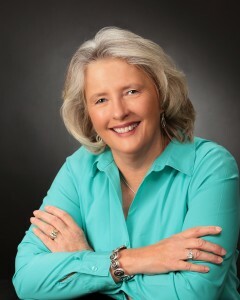 Terry is a trained Reconnective Healing® Certified Practitioner. She was trained by Dr. Eric Pearl through the Reconnection and is offering healing through this modality. In 1982 Terry died in a car accident. She was pronounced dead, but she survived this Near-Death Experience. Her messages of God’s unconditional love and healing stayed internal for many years. Terry feared being misunderstood. In 2006 when serious health problems plagued Terry she started to revisit learning from her buried NDE. Now healthy again, she is committed to share the wisdom she has acquired to help others find love, peace, and healing amidst the difficult places in their own lives. She shares how fear divides us, but love without judgment can unite us all. Terry has been living in the Zeeland, Michigan area for thirty-two years with her husband Doug. She is a retired teacher from Holland Public Schools after 27 years. She also spent ten years leading environmental workshops for middle and high school students from across the country into the Amazon Basin in Peru, hiking the Inca Trail to Machu Picchu, Costa Rica, and Kenya. Before returning to her native state of Michigan, she and her husband lived in Germany, Colorado and Tennessee. She has three grown sons with families bringing four delightful grandchildren. Her awakened Inner Divine Spirit began with her Near-Death Experience message of pure love and amazing healing potential. 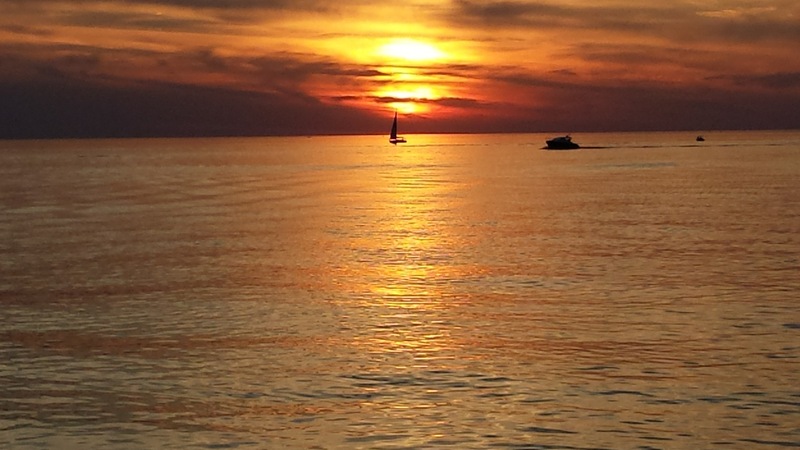 Terry lives in the West Michigan area near the sandy beaches of Lake Michigan. 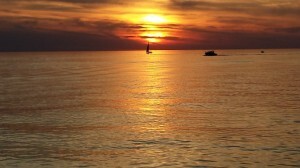 She loves to hike along the sandy beach in Holland and watch as many sunsets as possible! 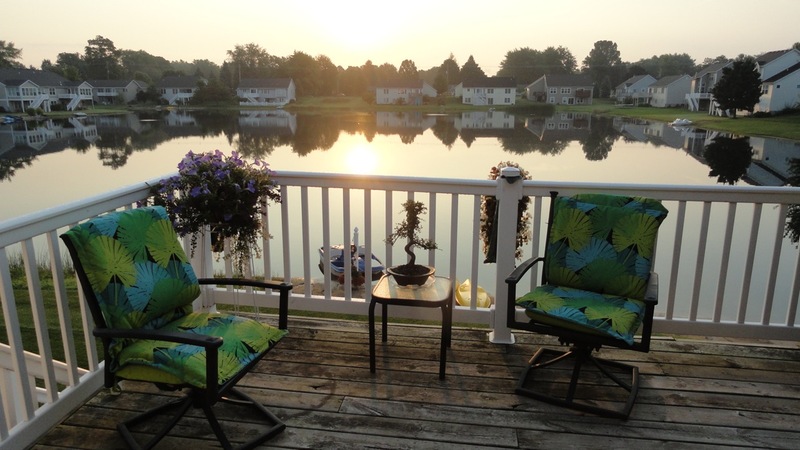 And she loves watching the sunrise over the water while she is meditating outside on beautiful mornings at her home. Michigan brings all four of the seasons and she loves each one with it’s own unique beauty. These words spoke to me when I read them because of my Near-Death Experience. (NDE) They spoke to me again as I became trained as a Reconnective HeaIing Certified Practitioner. As a healer I am using the power of light energy, working in the higher frequencies to connect with God. I never would have found any of Wayne Dyer’s words unless I was searching more deeply into the what God means to me in my life. It took many years for me to share with others the experience and messages from my Near-Death Experience (NDE). Now, I know how important it is to go inside of myself, into my soul each day through meditation. I use this time to pray, but also to find strength, love, and compassion. If I can find these things in myself every day, I can give away love in a much more authentic way to others. I am able to move into the frequencies of love and light when I am healing another beautiful soul. Meditation gives my mind, body, and spirit rest and strength to open the channels of communication between God and myself. The Universe all around us is sending answers every day, but I had to learn how to be open to hear them. How little I knew at times in my life now makes me chuckle in memory. Marj and I are hoping to help you open that channel as well! My family has been my greatest teacher. My husband lived my NDE Experience along me and our love grew along with our children as we both experienced a wonderful life with three amazing sons. They now have incredible families and lives of their own including our grandchildren who continually enrich our lives. Teaching young children helped shape my life as well as deepen my my need to grow the seeds God laid in my heart 32 years ago and now I can share as they blossom. NDE experiences are global~ that certainly gave me a lot to think about, consider and then search for information that spoke to me. Where I found violence, hatred, or judging of others~ I knew I was in the wrong place. God’s message given to me was LOVE IS ALL THERE IS. What an amazing message God shared with me during my NDE. Understanding it? That has taken a very long time. I know in my heart that Jesus came to share that amazing message with the world and so did many other visionaries across the globe. Fear had been wiped away for me wrapped in that amazing white light. Losing fear freed me to LIVE, love, laugh, and enjoy my choices in life. I was able to take fear of God out my life. You and I are unique individuals shaped by God’s love~ and we are not the same in our beliefs. God gave us free will, interpreting why is left up to us. What a challenge for centuries. Marj and I celebrate the differences in each and every human being we meet. We are fascinated by them, and yes we have learned incalculable things from them. For me it took even another challenge in life. God gave me the gift of failing health and the journey of four years to recovery to help me process another message I came back with from my NDE, WE HAVE THE ABILITY TO HEAL OURSELVES. I was clueless for so many years what that meant. I’d love to share that journey, I understand so much more now, even though I am still learning more every day. I’ll share how I am finally able to call failing health a gift! I’m healthy now and working hard to stay that way! Becoming a Reconnective Healer has allowed me to share the incredible healing insights in profound ways. I was born Terry Ashby and into a family of five children. Marjorie is one of my older sisters. Our family is still very close and love to get together and do fun outdoor hiking together in each unique area. 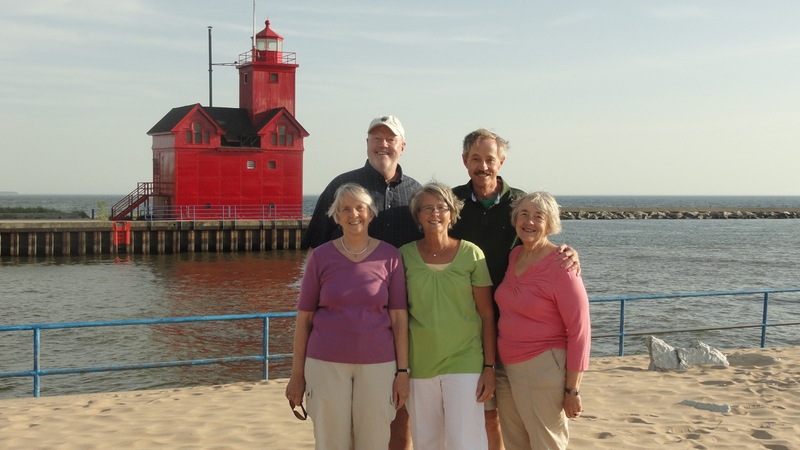 Here we are in my lovely area in Holland, Michigan. Since retirement, I began experiencing the world of volunteering. As a teacher I experienced the extreme value of a community wide program called Hope Ministries. It services homeless or abused families with children. I volunteered in story telling in pre-school and compassionate help with struggling readers in an afternoon school care program, until I became active practicing as a Reconnective Healer. I stopped my guest teaching to write and now work as a Reconnective Healer, motivational speaker and workshop leader. I love time with my family. I have 3 highly successful sons with 3 wonderfully talented wives and 4 grandchildren that God has blessed with wonderful parents. 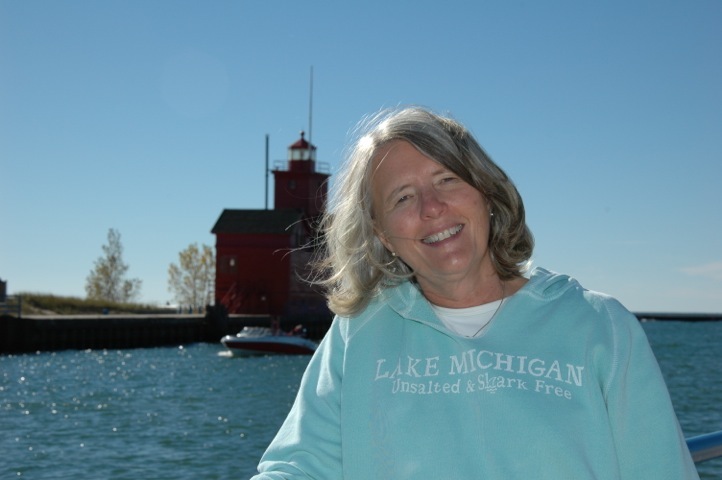 I enjoy reading, traveling, hiking, camping, biking, singing, golf, kayaking and swimming. I am an avid reader of spiritual literature as well as historical novels. She also admits to being a fan of Clive Cussler. These are my two favorite places to read. Lake Michigan has many sand dunes along the western coast. 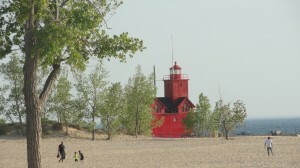 There are locations like these in Holland and in many cities located along Lake Michigan. 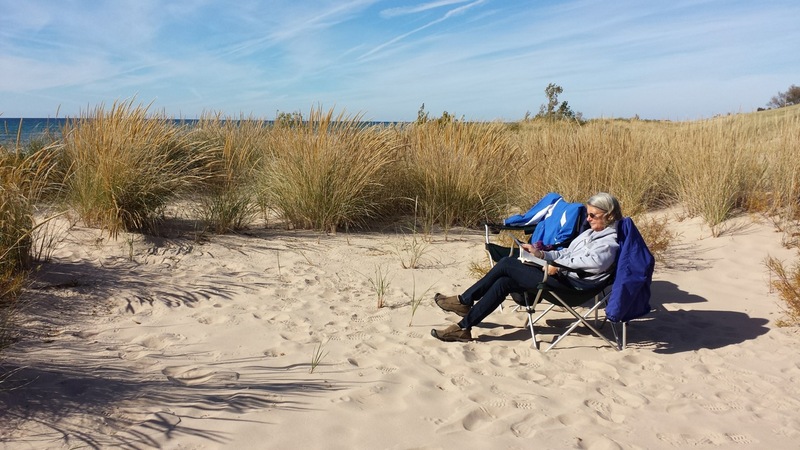 Dune grass makes a great wind break for days that are cooler, but nice and sunny. 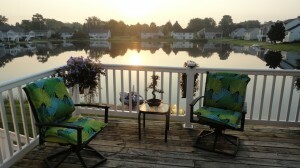 We live on a small lake and I love to view the sunrise over the water. It is my favorite view for reading and also for meditation.